Do you want to get quotes from the nation’s top insurers like Blue Cross Blue Shield? We at Vista Health Solutions can do that and more. We are a licensed health insurance broker working with leading carriers in all fifty states. We have health insurance options for working individuals, sole-proprietors, families and even those with pre-existing condition who are having a hard time acquiring coverage. If you want to get Blue Cross Blue Shield health insurance quotes, or quotes from other affordable health plans, you have come to the right place. Blue Cross Blue Shield health insurance plans provide health insurance coverage to 100 million residents through 38 independent, local organizations and companies. Blue Cross started in 1929 as a hospital care program. Blue Shield began in 1939. 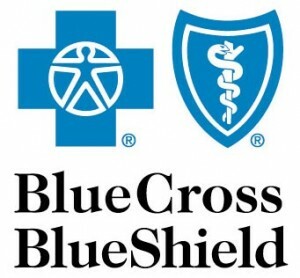 BCBS was formed through the merger of the Blue Cross Association and Blue Shield Association. Blue Cross Blue Shield Association health insurance is offered in all states. Blue Cross Blue Shield also offers Medicare plans. Blue Cross Blue Shield provides medical benefits to federal employees under the Federal Employees Health Benefit Plan. With a simple mission to enhance their members health for the better, Blue Cross Blue Shield, thoroughly believes if people receive top-notch, quality health care, people will stay well. They push this by encouraging members to have preventative screenings. In addition, they’ve opened their network so it is larger and easily accessible, they are giving pharmacy perks and dental insurance, and holding programs to aid those with chronic conditions. All of the Blue Cross Blue Shield plans give healthcare to individuals in all fifty states. This makes up more than 100 million people in total. Conveniently, 96 percent of hospitals work hand-in-hand with Blue Cross Blue Shield.